It's the battle for the soul of New York! After taking over the Hand, Daredevil attempts to convert the league of merciless ninja assassins into his own private army and begins doling out a darker brand of justice as he transforms Hell's Kitchen into the Shadowland! With his forces now in control of the streets, not even the police are welcome. And in one of the most shocking moments in Marvel history, Daredevil finally gets revenge on archenemy Bullseye! Spider-Man, Wolverine, Luke Cage and Iron Fist led a group of heroes to confront their long time ally, but Daredevil isn't feeling diplomatic! 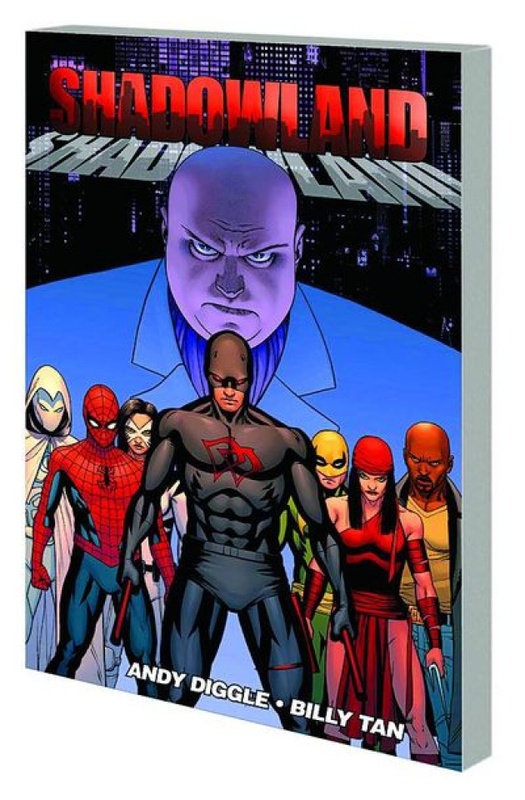 It's the ultimate showdown as Marvel's greatest heroes take on Daredevil and his army of Hand assassins - not only for the soul New York, but also the soul of a hero! Collecting SHADOWLAND #1-5 and material from X-MEN: CURSE OF THE MUTANTS SPOTLIGHT.